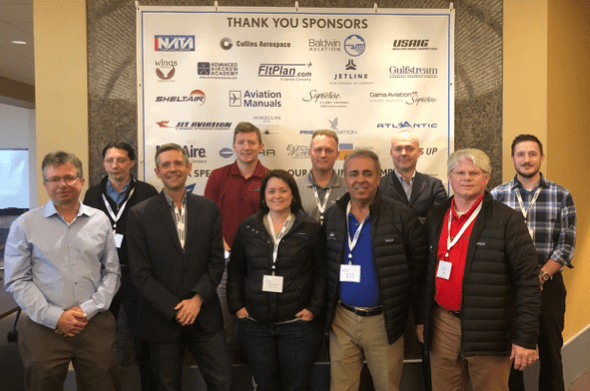 Washington, DC, April, 2019 — When the Air Charter Safety Foundation (ACSF) holds its annual safety symposium, it’s typical for aviation companies that are ACSF members to send one—maybe two—representatives. So, this year, when Summit Aviation, a Bozeman, Montana-based air charter company, showed up for the meeting with 16 of its staff—including its president—ACSF President Bryan Burns did a classic double-take. “Any meeting or symposium planner would agree, when you experience this kind of exceptional interest in and commitment to an event, you have to assume you’re doing something right, and the first thing you want to understand is why,” Burns said. Burns didn’t have to ponder his question very long. Shortly after the event, Ben Walton, President of Summit Aviation, got in touch with Burns, and shared a letter with him written by Janine Schwahn, who is both the Director of Operations and Director of Safety for Summit. Schwahn’s letter explained why she insisted to her boss that nearly everyone on the Summit team should attend the ACSF safety event. “I told him that change happens from the inside out—and that all pilots, schedulers and our director of maintenance should be there,” Schwahn wrote. Schwahn added: “One week later, I’m still getting texts, phone calls and emails from captains, first officers, mechanics and our schedulers with suggested changes to procedures and processes to make the operation safer. Likewise, we are removing procedures that just added workload and didn’t improve safety." Burns says he’s highly gratified by Summit Aviation’s extraordinary commitment to safety, and he hopes to make the annual symposium even more topical and interesting based on Summit’s feedback. The ACSF has developed the Industry Audit Standard, an all-inclusive audit tailored for Part 135 and 91K operators that acts as a detailed gap analysis of an operator’s management practices. The audit program consists of a thorough review of an operator’s processes, procedures and regulatory compliance and the operator’s implementation of and adherence to a safety management system. The Rocky Mountain Northwest's premier aviation service company, Summit Aviation began, humbly, in 2003, with one pilot, one aircraft and one small hangar. Now, 18 years later, Summit boasts a fleet of state-of-the-art aircraft, a full staff of charter and corporate pilots, highly-qualified flight instructors, and aircraft sales professionals. Its services include aircraft brokerage, flight training, on-demand private charter and aviation management. Derrick Erickson. The rest of the crew had already headed to the airport. “Growth and change are inevitable,” notes Future West Director Dennis Glick. “They can happen by design, or by default. It’s time that we recognize this reality and begin to identify our vision for the future and the actions needed to make it a reality.” That is precisely the focus of a unique regional conference to be held this June in Bozeman, Montana. Conservationists, elected officials, rural landowners, business leaders, land managers, developers and many others will gather for a day-long exploration of the potential future of our towns, working landscapes, and wildlands. 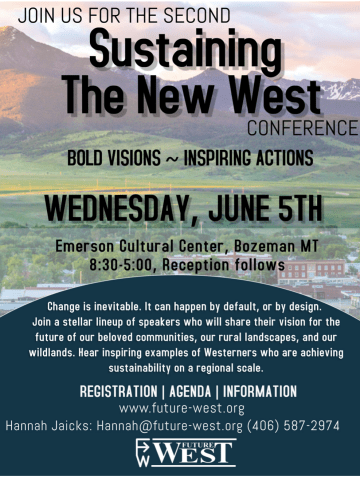 The conference, Sustaining the New West: Bold Visions – Inspiring Actions, will take place June 5th at the Emerson Cultural Center in Bozeman. Hosted by the non-profit Future West, the event will put a spotlight on growth trends in the Northern Rockies and offer alternative visions for how we develop and conserve this region. The conference will also highlight examples from around the West of successful efforts to plan for and achieve sustainable conservation and development on a regional scale. 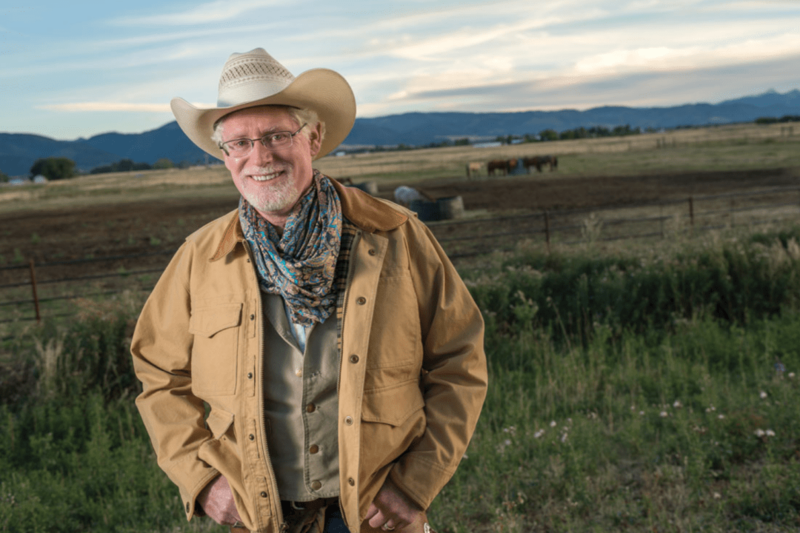 A stellar lineup of speakers will include founding member of the Blackfoot Challenge- rancher Denny Iverson, Lain Leoniak- former Bozeman Water Conservation Specialist and current Assistant Attorney General for Colorado, renowned conservation biologist Dr. David Theobald, Mayor of Canmore Alberta John Borrowman, Teton County Idaho Commissioner Cindy Riegel, Devin Middlebrook from the Lake Tahoe Regional Planning Agency, Dr. Aerin Jacobs from the Yellowstone to Yukon Initiative, Robert Liberty- architect of Oregon’s land-use planning system, and several others. They will share their perspectives on options for creating a future that conserves our natural and cultural values, while also creating sustainable and equitable communities. This is the second Sustaining the New West Conference. “The first,” according to Dennis Glick, “focused primarily on the impacts of growth, development, and climate change on the future of the region.” At this gathering, individuals who have been deeply engaged in these issues in the Northern Rockies will offer alternative future scenarios for our communities, working rural landscapes, and wildlands. They will be followed by people from other regions sharing lessons they have learned while working on sustainability issues on a landscape, if not statewide, scale. For more information and to register visit www.future-west.org or contact Hannah Jaicks (Hannah@future-west.org). Lunch is included and a reception will follow. A local tradition! The Bozeman Kiwanis Club will provide 75 children’s sandboxes, built by club members, and given to families free of charge, sand included! We love sandboxes! They get our children outside, while socializing and developing creative and constructive skill sets. The sandboxes will be distributed on the south side of the 100 Acre Park off Oak Street, west of 19th, in the parking lot near the sledding hill. Distribution will be on two Saturdays, June 1st and 8th from 10 a.m. to 2 p.m., and Thursday, June 6th from 5-7 p.m. The sandboxes are available on a first come, first served basis, until all are distributed. It is very important to bring a vehicle that can accommodate the 5’by 5’ wooden boxes and over 1,000 pounds of sand. It is highly recommended that you protect your vehicle with a tarp or drop cloth for transporting, as the sand is loose. Pick-up trucks or trailer are the best way to transport the boxes and sand. Most cars will not accommodate the box and sand. Sandboxes can be reserved for pickup. On the above days. Please email Heidi Pfeil at heidipfeil@yahoo.com with your name, phone number, the day you are coming. Students can find the course closest to them and register online at fwp.mt.gov/education/hunter. Students may be required to pick up materials and complete the course manual before the first day of class. Dates, locations and specific instructions for each class, as well as contact information for the instructors, are available in the event description online. A student must be at least 10 years old to register for Montana Hunter Education courses. Students ages 10-11 can take the course and hunt as an apprentice but will not be fully certified until the year they turn 12. There is no maximum age limit. Students must attend all classroom sessions, the field course and pass a final exam. Anyone age 18 or older can complete an online course but must still attend a field course to become certified. To purchase a Montana hunting license, any person born after Jan. 1, 1985, must provide proof of having successfully completed a hunter and/or bowhunter education course issued by Montana, any other state or any Canadian province. Hunter and bowhunter education courses are led by volunteer instructors who are passionate about preserving Montana’s hunting tradition, teaching firearm safety and other outdoor skills. Instructors are needed in communities across southwest Montana. If you are interested in mentoring new hunters, please contact Morgan Jacobsen, Region 3 information and education program manager for Montana Fish, Wildlife & Parks, at 406-994-6931 or visit fwp.mt.gov/education/hunter for more information. Apple trees from the Montana Heritage Orchard Program will be available for purchase this spring beginning in mid-May at nurseries across Montana. 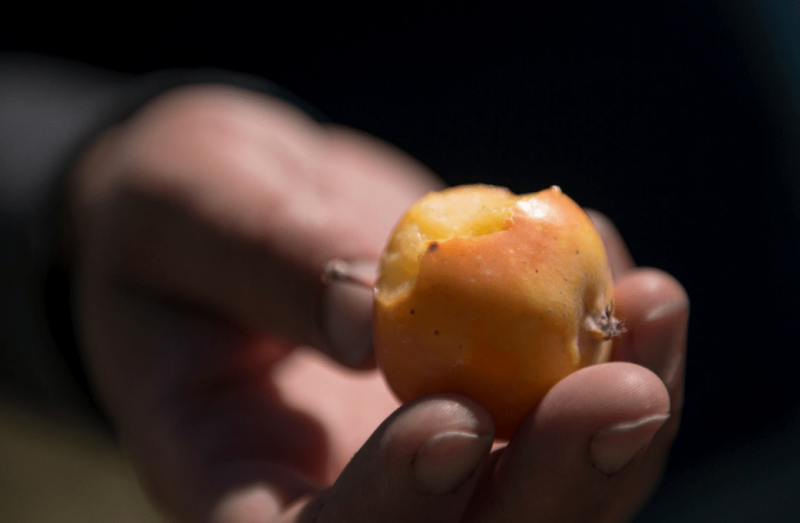 The Montana-grown fruit trees have been grafted from some of Montana’s oldest trees and most rugged orchard locations, according to Katrina Mendrey, orchard program manager with Montana State University’s Western Agricultural Research Center. Trees available in 2019 include Transcendent Crabapple and McIntosh from Wild Horse Island in the Flathead; an unknown apple similar to the once-lost Gideon Sweet from Crow Creek Ranch near Pryor; an Alexander apple; and a large green apple of unknown variety from Ray Ranch in the Bitterroot Valley. All the apples were grafted and grown in Montana, Mendrey said. A Transcendent Crabapple. MSU photo by Kelly Gorham. Six nurseries in Montana will carry the trees, including Good Earth Works Co. & Nursery in Billings; K&S Greenhouse in Corvallis; Delaney’s in Polson; Gardenwerks in Helena; Tizer Gardens in Jefferson City; and Cashman Nursery in Bozeman. Trees will also be for sale at a pop-up market to be held from 9 a.m. to noon Saturday, April 27, at Missoula’s Tower Garden located at 3340 S. Seventh St. W.
The purchase of the trees helps administer the Montana Heritage Orchard Program, which provides heritage orchards across Montana with resources to preserve apple genetics, document Montana's fruit growing history and propagate heirloom and lost apple cultivars for backyard and commercial production. For more information about the trees, participating orchards and where to find them, visit www.mtapples.org/grow. A Montana State University professor has been named to a prominent national committee that is working to chart a path for the nursing profession through 2030. Peter Buerhaus, professor in the College of Nursing and director of the MSU Center for Interdisciplinary Health Workforce Studies, is one of 15 individuals appointed to the National Academies of Sciences, Engineering, and Medicine’s Committee on the Future of Nursing 2020-2030. The committee has been tasked by the Robert Wood Johnson Foundation to extend the vision for the nursing profession to help the U.S. create a culture of health, reduce health disparities and improve the health and well-being of the U.S. population in the 21st century. The committee will examine lessons learned from a previous Institute of Medicine report that made recommendations about the nursing profession, as well as the current state of science and technology, to inform its assessment of the capacity of the profession to meet the anticipated health and social care demands from 2020 to 2030. In 2009, the Robert Wood Johnson Foundation partnered with the Institute of Medicine – now called the National Academy of Medicine – to produce “The Future of Nursing: Leading Change, Advancing Health,” a report which set a vision for nursing in 2020. The committee examined how nurses’ roles, responsibilities and education should change to meet the needs of an aging, increasingly diverse population and to respond to a complex, evolving health care system. The report’s recommendations focus on the intersection between the health needs of patients throughout their lives and the readiness of the nursing workforce. The recommendations were written to support efforts to improve health care for all Americans by enhancing nurses’ contributions to the delivery of care. In a press release announcing the Committee on the Future of Nursing, the National Academies of Sciences, Engineering and Medicine said a variety of current and emerging issues will influence nursing and merit consideration in setting national priorities for the next 10 years. Those issues include ongoing health care reform, the integration of new technologies, patient-centered care, and respect for the profession and its expertise. The nursing profession is the largest segment of the nation’s health care workforce, and nurses play a vital role in the health care system, according to Sarah Shannon, dean of the MSU College of Nursing. However, a number of barriers have prevented nurses from being able to respond effectively to rapidly changing health care settings and an evolving health care system, she said, and these barriers need to be overcome to ensure that nurses are well positioned to lead change and advance health for the citizens of Montana and across the U.S. and globally. She added that Buerhaus is extraordinarily well qualified to address those challenges and to provide important contributions to the Committee on the Future of Nursing. In addition to his appointment to the Committee on the Future of Nursing, in April Buerhaus was inducted into the Johns Hopkins University Society of Scholars. The society honors individuals who completed their graduate, postdoctoral, professional or performance training at Johns Hopkins but are not currently affiliated with that university, and who have achieved marked professional or scholarly distinction in their fields. A nurse and a health care economist, Buerhaus is known for his studies and publications focused on the nursing and physician workforces in the U.S. Before coming to MSU, he was the Valere Potter Distinguished Professor of Nursing and professor of health policy at Vanderbilt University and assistant professor of health policy and management at the Harvard School of Public Health. In 2003, Buerhaus was elected into the National Academies’ Institute of Medicine. Buerhaus maintains an active research program involving studies on the economics of the nursing workforce, forecasting nurse and physician supply, developing and testing measures of hospital quality of care, determining public and provider opinions on issues involving the delivery of health care and assessing the quantity and quality of health care provided by nurse practitioners and physicians. What?!?! 24 years of Camp Equinox?!?! How is that possible? Camp Equinox, Bozeman’s oldest and biggest theatre day camp got their start back in 1996 at Headwaters Academy. From 50 campers that first year, Camp Equinox has grown to 300 kids over two sessions, now held at Bozeman Summit School. “We really believe in creating community first, and nurturing campers to become amazing young people. Theatre and comedy are just terrific ways to do it,” says Co-Camp Director Soren Kisiel. Kisiel and his wife Katie Goodman do everything together. They built the camp, ran what is now the Verge Theatre (under the previous name The Equinox Theatre) for over 12 years, co-write and direct the nationally touring professional satire company Broad Comedy which last year ran Off-Broadway. You may have seen them in Spontaneous Combusibles, the improv comedy troupe that has performed at Sweetpea for 23 years running, that they founded. They met in a play at college, and have never stopped working to teach and create new theatre since. They were even nominated for a MacArthur Genius Award for their unique work in theatre. Living in New York, they know the ins and outs of the professional theatre and comedy improv world. 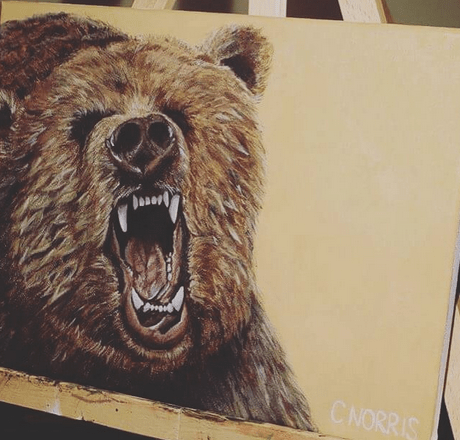 They know what it takes to be a creative person in this day and age, and they have found that expressing themselves through comedy is powerful. But they also know how to put process over product when it matters. While the professional theatre scene can be quite cut throat at times, it’s important, they say, to remember why you got into the creative arts to begin with. Empowering kids to feel self-confident is what matters most to the Camp Equinox staff. And it’s what matters, it seems, to parents of campers too, who keep sending their kids back year after year. Camp Equinox offers two separate month-long sessions for kids going into grades 1 - 8. Camp runs from 8:30 – 3:30 (except Fridays which end at noon). 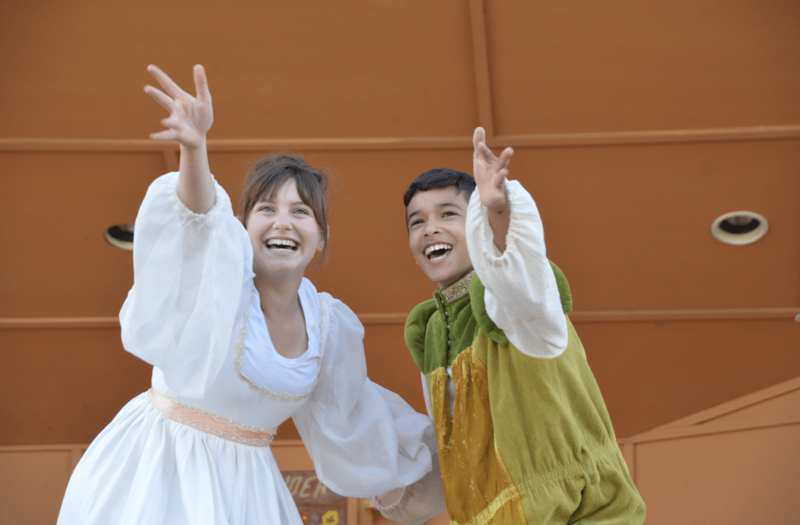 A fiesta of learning includes acting, musical theatre, comedy improvisation, Shakespeare, dance, puppetry, play writing, hip-hop, costume and set design, and much, much more. The Camp Scholarship program offers varying scholarship amounts to families in need. These are financial need-based awards. Camp Equinox has never turned anyone away with a financial need based on national income guidelines. Please call for a scholarship application. Camp Equinox culminates in a giant final performance at the end of camp for family and friends. They are also featured in the Sweetpea Festival and Farmer’s Markets every year performing a smattering of their favorite musical numbers. For more information or to receive a brochure, please call 406-522-7623 or go to the website at www.campequinox.com where you can get more information as well as download and printout a registration form. Montana Fish, Wildlife & Parks will host an informational public meeting on a proposal to remove smallmouth bass from Gallatin Valley ponds. The meeting will be held on April 15 from 6 p.m. to 8 p.m. at the River Rock Community Center, 101 River Rock Rd., in Belgrade. FWP proposes using rotenone to remove smallmouth bass, which were illegally introduced to the ponds. Rotenone is a natural substance used to remove fish that are incompatible with the management goals of a fishery or that pose threats to other aquatic resources. Once the bass are removed, FWP would restock the ponds with rainbow trout. FWP is concerned that further illegal introductions from this source will result in smallmouth bass populations in other parts of the Upper Missouri River system. Smallmouth bass would likely cause irreparable harm to wild trout populations, which are economically important to the state. FWP has conducted an environmental assessment for the project, which can be viewed online at http://fwp.mt.gov/news/publicNotices/environmentalAssessments/speciesRemovalAndRelocation/pn_0079.html. Public comments on the project can be submitted online at the above web address or by mail: FWP, c/o Smallmouth Bass Removal, 1400 S. 19th Ave., Bozeman, MT 59718. They can also be emailed to FWPRG3EA@mt.gov. For more information, please contact the FWP’s Region 3 headquarters at 406-994-4042.